This year, I am co-organizing with Heather Knight the alt.HRI event during the Human-Robot Interaction conference 2017.
alt.HRI is about offering a high-visibility venue for unconventional, radical, thought-provoking (yet rigorous!) research on the future of human-robot interactions. With a special flavour this year: we invited authors to discuss the Less Positive Side of Human-Robot Interaction. With the help of a great international committee (Kate Darling, Seiichiro Katsura, Iolanda Leite, Angelica Lim, Hirotaka Osawa, Ana Paiva, Bill Smart and Mary-Anne Williams), we have selected four contributions which will be presented during the HRI 2017 conference next March in Vienna. From a robot which physically takes control of your throat and dictates what you say to robots which feel scared when they visit unknown places, I'm very excited with the programme! I am giving a short talk at the Cognovo's Symposium on Group Creativity and Education on social robots and education ...or rather, "to be or not to be social" for a robot in a classroom. The slides (and Latex sources) can be downloaded from my GitHub repository. Available under a Creative Commons license CC-BY-SA, as usual. How robots can represent the world and the humans? how can they talk, plan, decide? It took us three years (!) 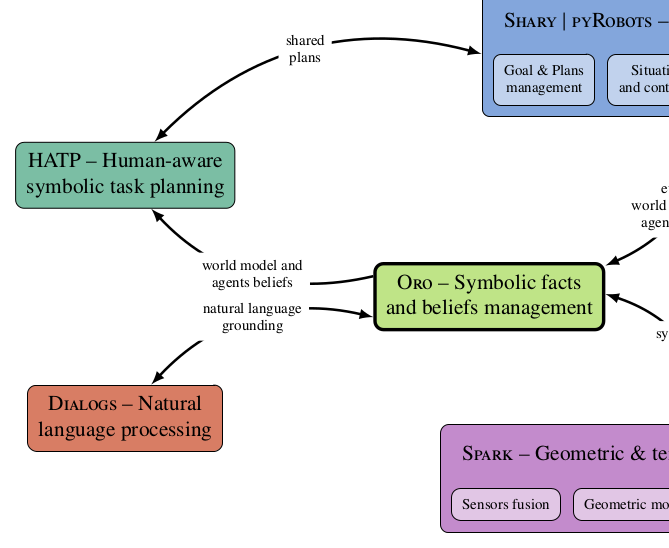 but our rather big paper on artificial cognition for social human-robot interaction is finally out! Have a look, I've put the PDF online. Update! We have been awarded the Best 'Theory and Methods' Paper Award for our formalization of the idea of `With-me-ness' in robotics. Fantastic! The annual Human-Robot Interaction conference is coming soon: I'll be flying New Zealand to present our last year's work on attention and engagement tracking between humans and robots (nominated for the Best Paper award!). Alexis is going to present the results of 3 rather long studies where we show that robots can indeed help children struggling with hand-writing. I'm also really glad to co-organize with Paul Baxter the (co-located) 2nd Intl. Workshop on Cognitive Architectures for Social HRI. Here we are! 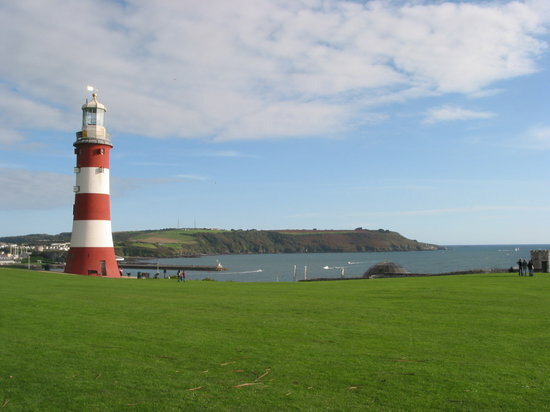 we've moved to Plymouth this summer, and I will soon start to work on a Theory of Mind for our robots, with Tony Belpaeme at the University of Plymouth! Thanks to a press release by the EPFL media office, the CoWriter project got a lot of media coverage this month! I presented two papers during the Human_Robot Interaction Conference: one the the CoWriter project, one on new perspectives towards implementing a Theory of Mind for robots. Check the Publications section below to download the papers and the Talks section for the presentations. On air! I've been interviewed for 25 min on the place of robots in our society by the Swiss national radio RTS. You can listen to the interview (in French!) online. 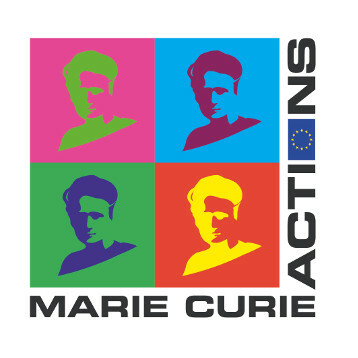 I've been awarded a Marie Skłodowska-Curie fellowship to work on the Theory of Mind for robots with Tony Belpaeme at the University of Plymouth (and Claire got one as well!). We are moving to UK next summer! We've got awarded the AAAI 2015 Best Video Award for the CoWriter project! Congratulations to Deanna Hood, the Master student who carried out this project! I've been awarded the Best PhD in Robotics 2012 award by the French CNRS.